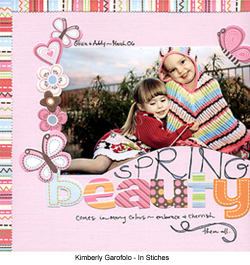 my little love affair with sassafras lass started back in 2005 with their 'dreamy' and tickled pink ranges. 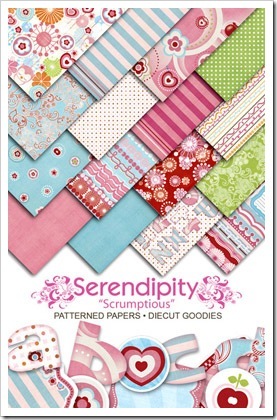 i loved not only the softness of the papers but also their versatility. 'playtime' and 'daydream' were probably the lines that first attracted my undying devotion . 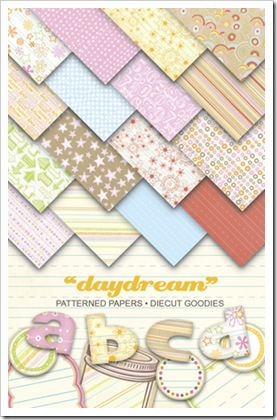 sassafras lass design their papers with a light touch - the soft colour palettes are gelato and fresh - attractive whimsical designs that seem to be created to work with photos rather than overwhelm them. 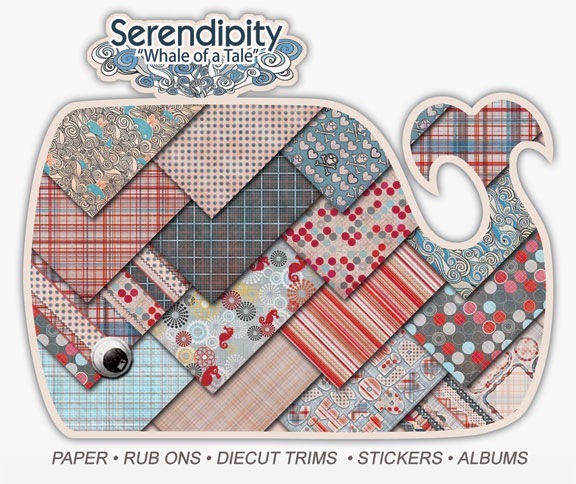 the whimsy continued with 'scrumptious' which i thought truly was and inspired me to create the above, which is still one of my favourite layouts. the sassafras lass papers just seem to beg to be cut out and into and mixing and matching them enables you to practically create your own patterned papers. i love that the papers have their own unique style, playful and fresh patterns and colour palettes that can be pepped up or toned down without too much skill required. 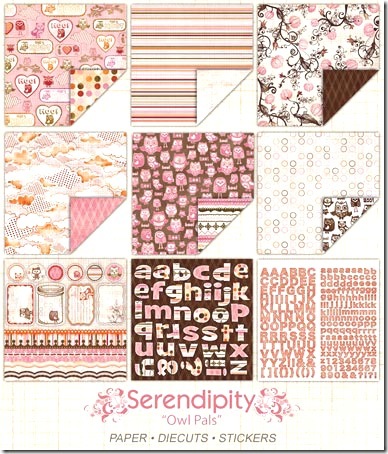 the cutest owls are featured in 'owl pals' in both patterned papers and stamps and the pink and brown colour palette may have been completely predictable without the addition of the artful orange, the very element that lightens the colour story and adds the playful tone so ever-present in sassafras lass designs. We greet the new year with our first weekend inspiration post. We have a commitment this year to share even more layouts with you and we'd love your help with this. We will be publishing a schedule of the manufacturers we're showcasing in our upcoming weekend inspiration posts in the sidebar of this blog. We'd love you to email us at aussiedt@iinet.net.au if you have a layout you'd like to share that makes great use of products from any of those manufacturers and we'll be adding four of them to the end of each weekend inspiration post. We'll still be bringing you layouts from our talented design team of course, as well as any others we spot that we love and want to share, but some do slip by us and it's those ones we want you to bring to our attention. 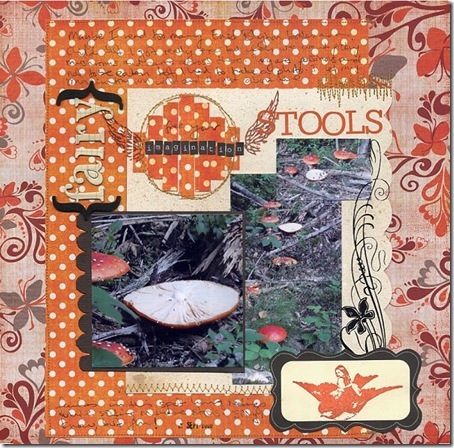 And now we kick off with a vibrant and inspiring collection of Sassafras Lass layouts from our own design team and other talented scrappers. When Chris saw the colours in the Indian Summer range she knew they'd be perfect for this wedding photo she's been waiting to scrapbook. 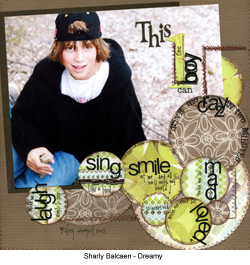 Chris layered the papers and teamed them up with Basic Grey alphabet stickers to create this layout. 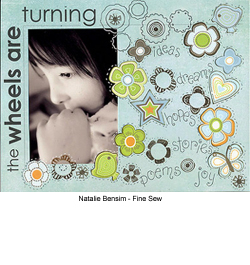 The title is from one of her favourite songs by Bernard Fanning. Photo by Studio 7. Chris felt these Sassafras Lass Indian Summer papers were just begging to be cut into. 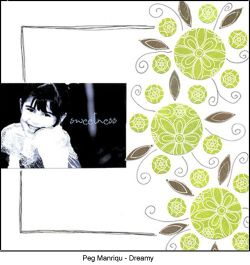 The flowers and swirls then become accents on her page. The buttons and hand drawn border finish it off nicely. Caz is working on an album for herself based on her fellow design team member Nic Howard's book, "That's Life". 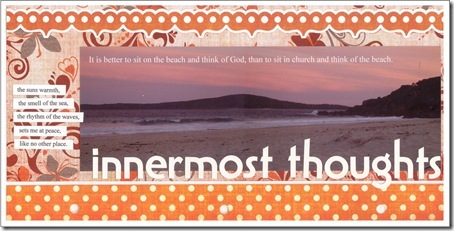 There is a chapter on Innermost Thoughts, and while Caz's thoughts are usually a turmoil of what is to be done and what she has forgotten, she chose to do a layout about a place that she can really relax. 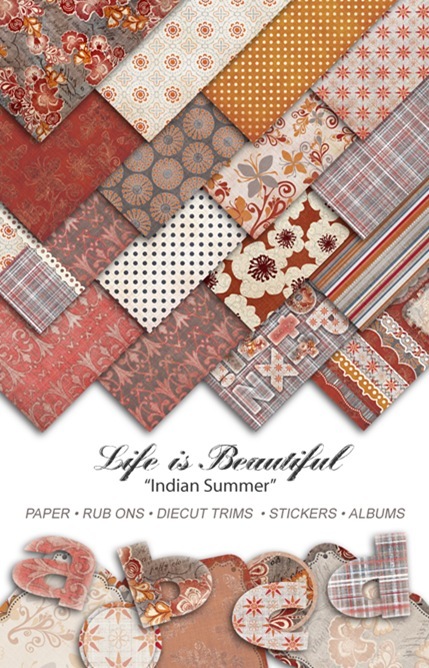 The warmth in these Indian Summer papers by Sassafrass Lass echo the warmth in the suns rays as it sets on the beach. 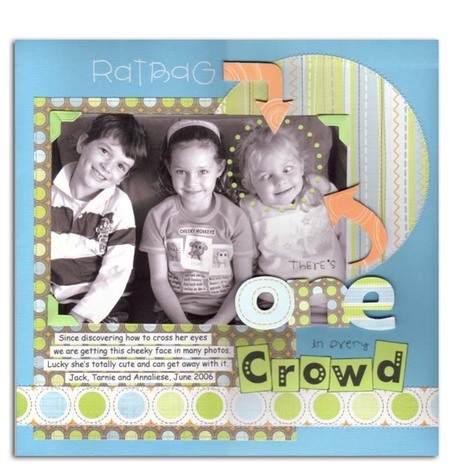 When we saw these two layouts on Janine Kaye's blog we knew we needed to share them here as well. 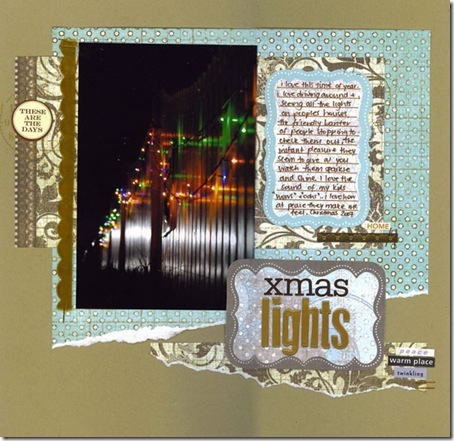 She has taken the beautiful Starry Nights range of Sassafras lass papers and created a cool beauty with her Christmas photos. 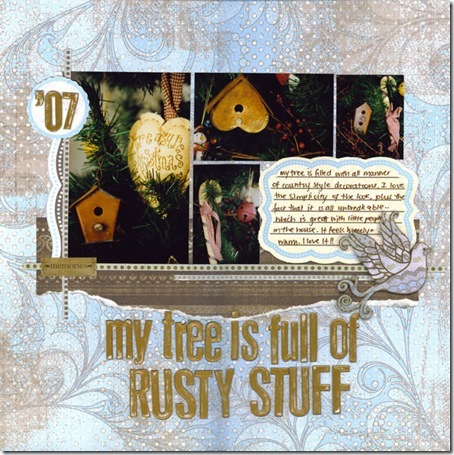 We love her 'rusty stuff' too! 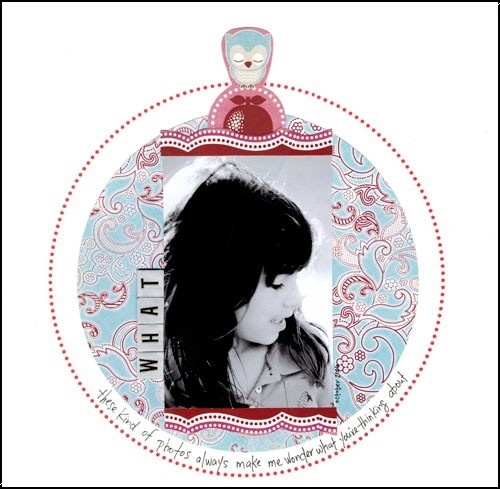 Another fabulous Aussie talent, Danielle Quarmby has kindly allowed us to share a couple of her Sassafras Lass layouts as well. 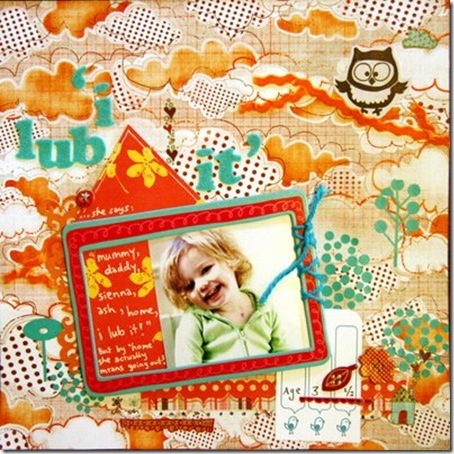 Using Owl Pals papers in 'i lub it' and the ever popular spots from the Indian Summer range, Danielle shows us a freer approach to scrapbooking that we just 'lub' too! 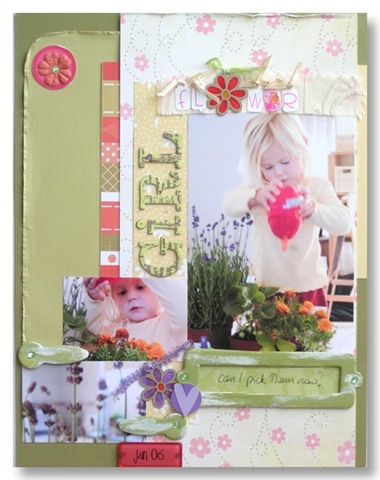 Showing us how to use the Felicity range is Fiona Leehane with this gorgeous layout of her daughter. Fiona has set the papers against the black background for an eye-catching effect. 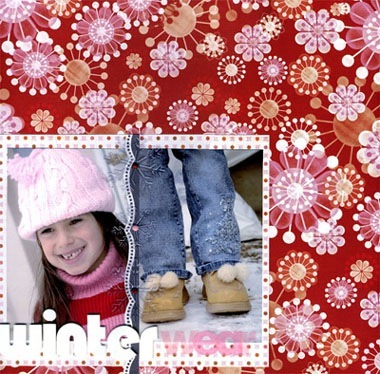 Thank you for sharing your creation with us Fiona. 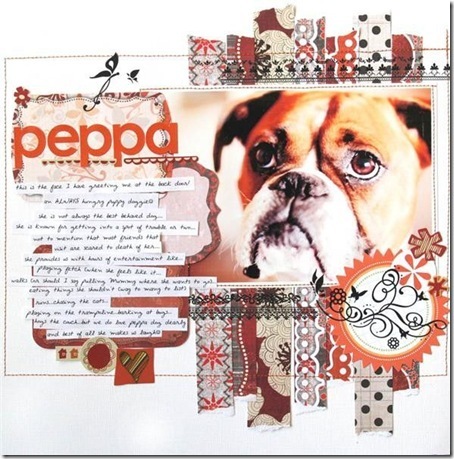 We loved Fiona Leehane's work so much we wanted to share another of her gorgeous layouts with you! Here Fiona has used the Indian Summer range to scrap this absolutely adorable photo of her pooch! Fiona has also added some Basic Grey rub-ons for good measure. Thanks for sharing Fiona! 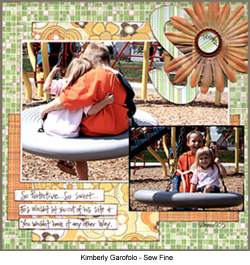 We thank Francine Clouden for this final layout using the Indian Summer papers. She lives in Lyon France, where amazing mushrooms like this abound. She said she took these photos whilst picking mushrooms, they reminded her of all those Enid Blyton books she used to read. Thanks for allowing us to share Francine - I remember those Enid Blyton books too!! 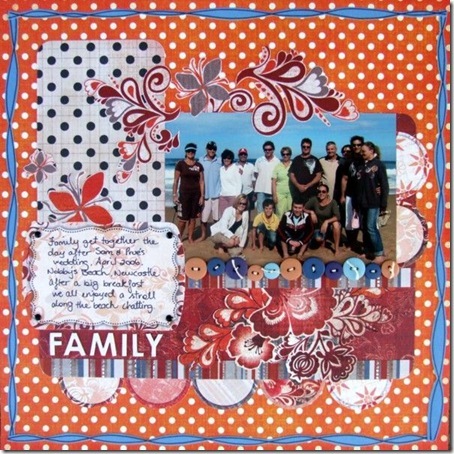 This weekend we thank some incredibly talented members of the Sassafras Lass design team for our weekend inspiration. Enjoy. 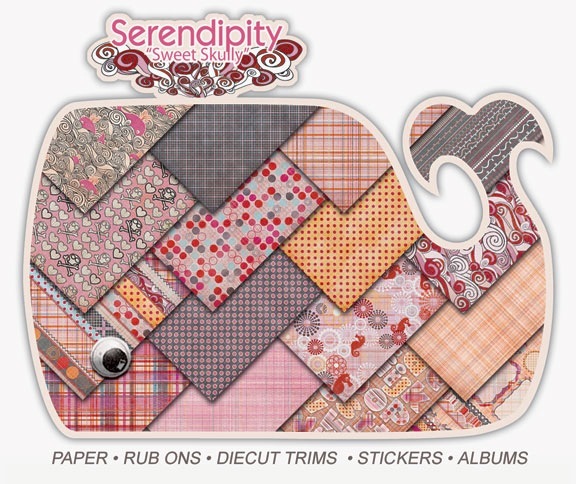 This Easter Weekend we leave you to enjoy a range of layouts created with Sassafras Lass patterned papers, die cuts and stamps. We not only put our design team to work but we scoured the net looking for stunning examples of the use of what we fondly call 'Sass' and we certainly found some! Although this is Caz's daughter Jordan, the page was created by Suz. She just wanted to call it Beautiful Girl, but her mother suggested the addition of 'with attitude'. Perhaps it had been a rough day! Suz used the new Scrumptious papers to create a playful layout, reinforced by the co-ordinating funky alpha die cuts. Jordan's a bit of a sparkly chick so some Heidi Swapp bling was scattered around for good measure. 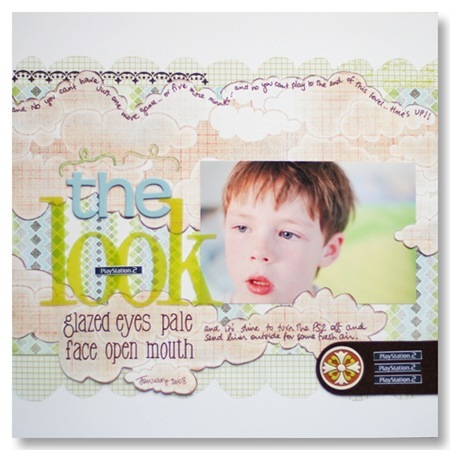 The new Sassafras Lass “Blue Boutique” range of Papers was a perfect match to Jaimies photo of her son. 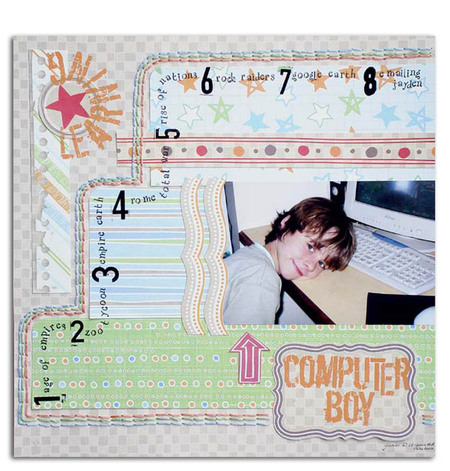 By using a colour blocking effect and mixing plain and patterned papers (who says you can't use flowers for boys!) 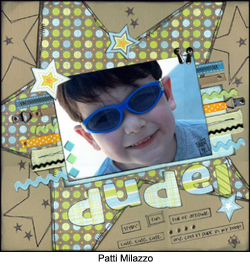 she has created a lovely masculine page. Warning: May Cause Cluckiness. 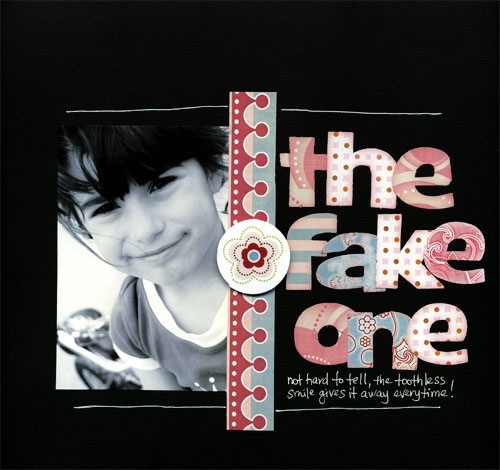 A perfect title for a layout with the 'ohhh' factor. 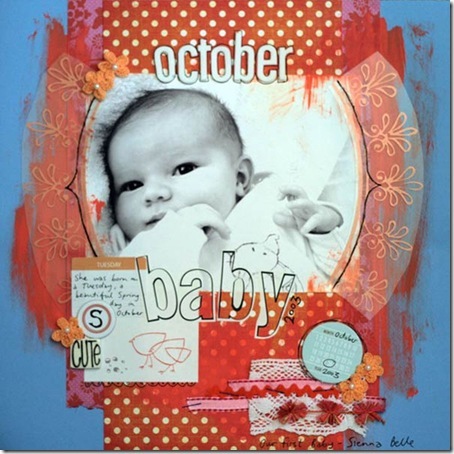 Chris Millar has used the Sassafrass Lass Sew Fine papers coupled with the Sew Fine die cut blooms to create this layout about her new Baby nephew. 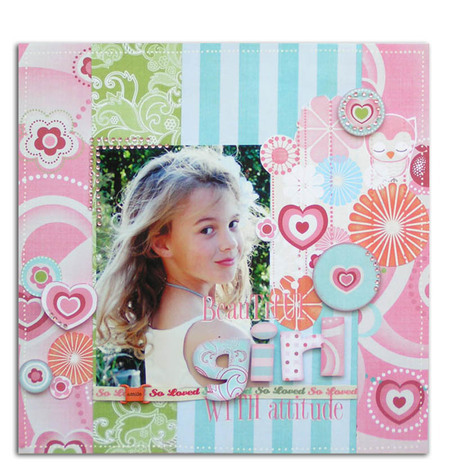 Here, Chris has used the Sassafras Lass Sew Fine papers and die cut monograms to highlight this crazy photo of her daughter. 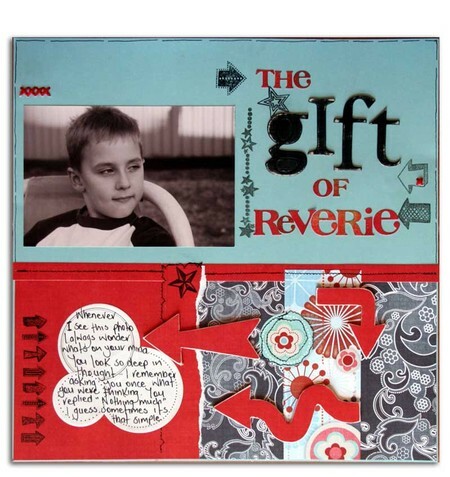 By using the Deluxe Designs Plain Jane chipboard arrows Chris has drawn attention to the main subject of the layout. 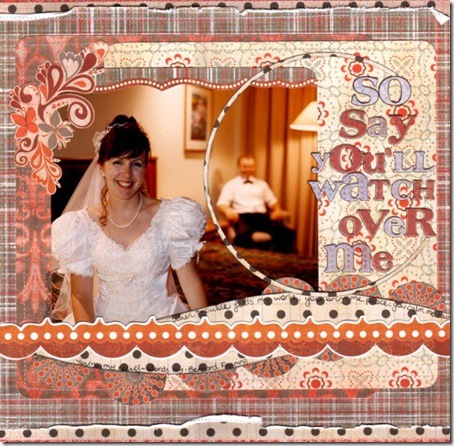 Chris found that the Heidi Swapp large retro photo corners also match perfectly with the Sassafras Lass papers. We're beginning to suspect Chris loved these papers! 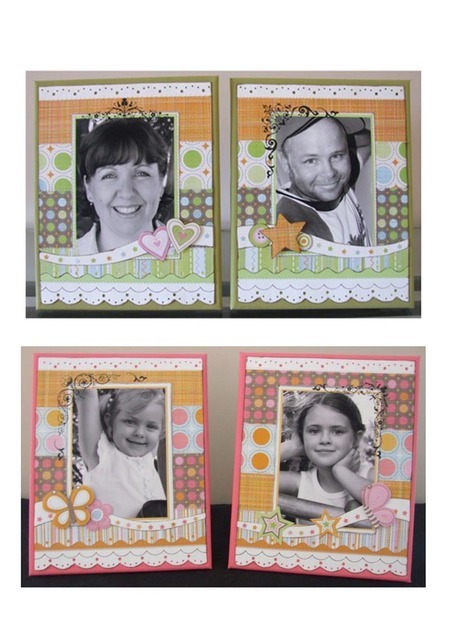 She also created these gorgeous canvases of her family using the Sassafras Lass In Stitches & Sew Fine papers and die cuts. The Basic Grey Wholy Cow rub-ons add a subtle but perfect finishing touch. 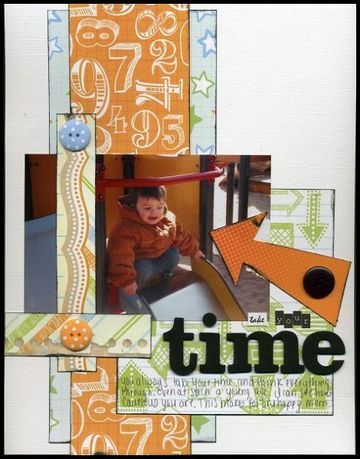 The Playtime range is full of fun and fantastic for those boyish layouts that you want to create. 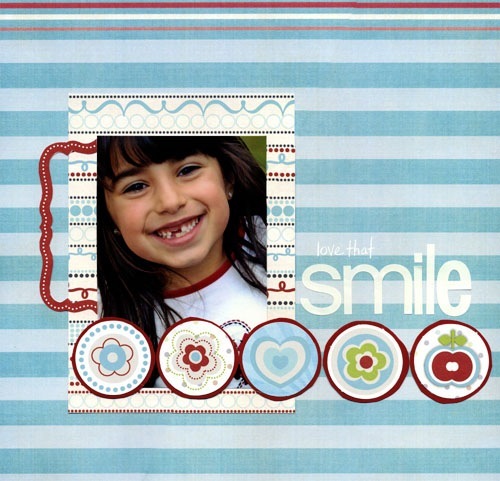 In this layout Mel combined diecuts and patterned papers from the range, cut in large strips which were then a perfect edge for her journaling. 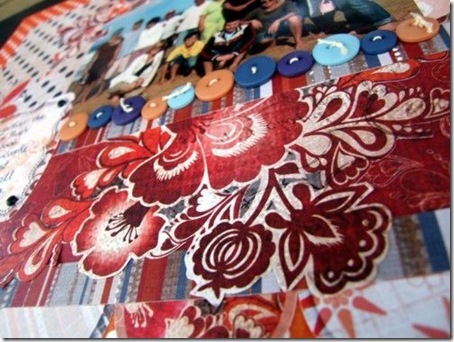 A splash of hand stitching heped to tie the layout altogether. 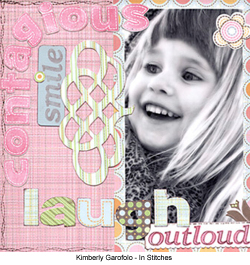 Thanks to Shawna Webster for allowing us to share this layout. 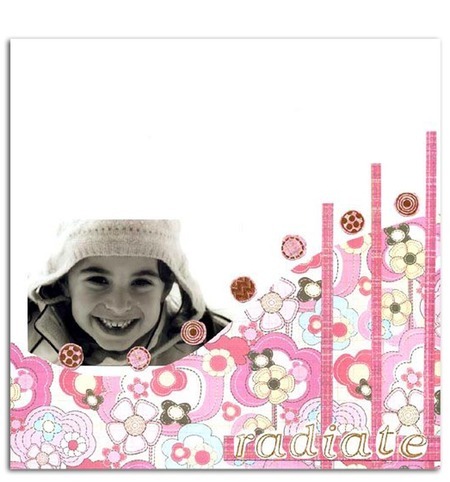 Using the wonderful Playtime range of papers and die cuts she has created a layout full of colour and light. We love how she has inked the edge of each paper giving her page a perception of depth and direction. 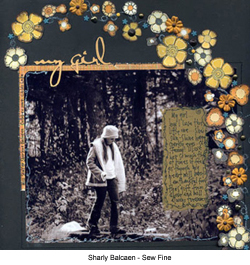 We also thank Peg Manrique for sharing two of her spectacular Sassafras Lass layouts with us. 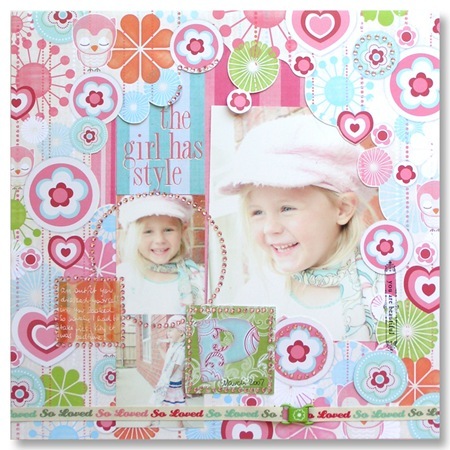 We were instantly drawn to the girliness of these two layouts, so pure and delicate. 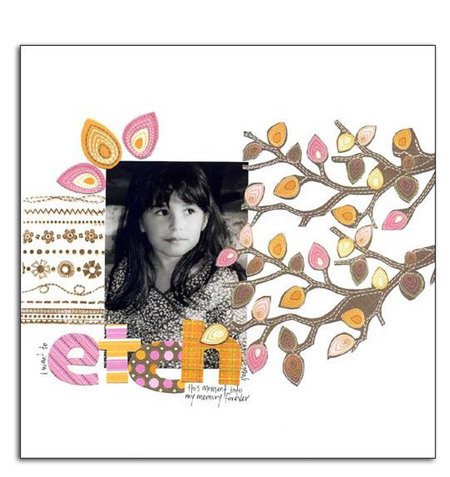 We loved the white space in 'Radiate' and the hand cut branches and subtly added Sassafras Lass stamp in the 'Etch' layout give an almost windswept appearance. Wishing you a happy and safe Easter from all at Aussie Scrap Source. This week the weekend inspiration comes from Sassfras Lass. 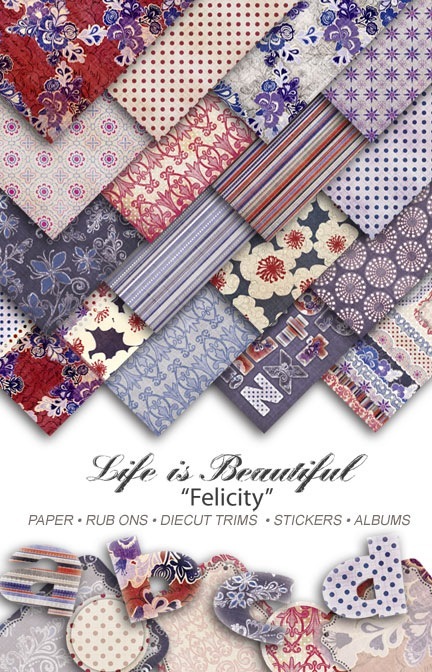 I am sure you will agree that these talented ladies have done a gorgeous job with the papers, monograms and die cuts available from Sassafras Lass. We just love this range.